Don't text and drive, arrive alive! 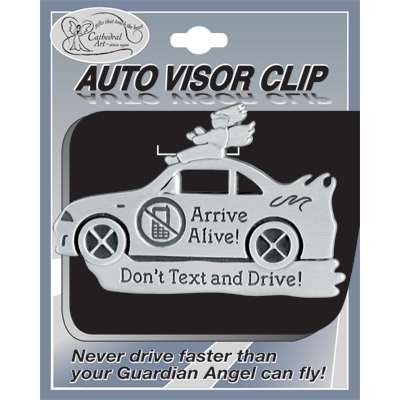 This pewter visor clip has an important message for all drivers. This would be a perfect gift for every driver! It shows an image of an angel riding on top of a car. Text: Don't Text and Drive! Arrive Alive!